Can Small Talk Lead to A Disciplinary Action? 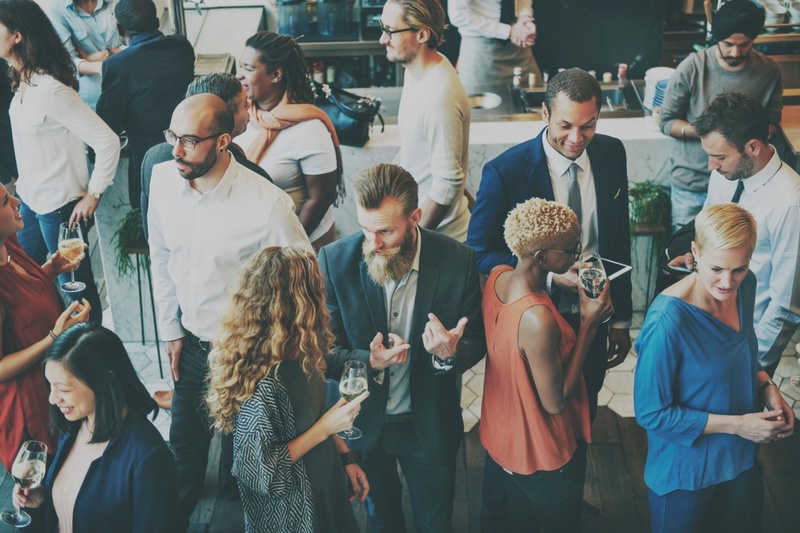 On those rare occasions when you might be able to leave the office and attend a networking event or maybe just to meet some friends, you might not be thinking of your ethical obligations but maybe you should. Consider the following scenario. The answer and explanation can be found at the bottom. One of Alan’s clients is a company where Patricia works as an office manager. They had become friendly to the point that Patricia asked Alan if he could help her file for divorce. She confided in him that there were issues of domestic abuse and that one time she had to call the police on her husband. Alan told Patricia that he did not handle divorce matters but that his partner Grace would be able to assist her. Patricia was grateful for the referral and she later retained Grace to represent her in dissolution of marriage action. A few months later, Patricia and her husband had a change of heart. They decided to seek counseling and to try to save their marriage. Patricia asked Grace to dismiss the case which she did. Alan had no knowledge that Patricia had reconciled with her husband or that her case had been dismissed. While he was out at a social event, he ran into Gabby, a good friend of his who was also Patricia’s good friend. Alan told Gabby that he was so concerned about Patricia since she had domestic abuse issues with her husband and even had to call the police on him more than once. He was glad that he had been able to refer Patricia to Grace so she could help Patricia get away from her abusive husband. Gabby listened to Patrick with sad eyes as she had no idea that this drama was going on with Patricia. When Alan finished talking, Gabby sent a text to a few of Patricia’s friends letting them know what was going on with Patricia and asking them to send her words of encouragement. They all did. When Patricia later found out what happened, she was so furious with Alan that she filed a disciplinary complaint against Alan. Did Alan’s conduct warrant a disciplinary complaint? Answer A: No. This was just a misunderstanding because Alan didn’t know Patricia and her husband reconciled. If anything, Patricia should be furious with Gabby for blabbing all that information to their mutual friends. Answer B: Yes. Alan shared confidential information about Patricia to Gabby. The correct answer is B. This scenario is loosely based on an often-cited Indiana case styled as In re Anonymous, 654 N.E. 2d 1129 (2010). When Patricia initially speaks to Alan about her case she is a prospective client; and when Patricia retains his firm to initiate the dissolution of her marriage, she is a client of his firm entitled to the protection of confidentiality under Rule 1.6. The attorney argued that he was simply concerned about how she was doing and that her divorce filing was generally known because it was a matter of public record. The court found that there was no evidence that the divorce filing was generally known and in reprimanding the attorney, the court stated: “An attorney has a duty to prospective, current, and former clients to scrupulously avoid revelation of such information, even if, as may have been the case here, the attorney is motivated by personal concern for the client. While this case is instructive and worth reading, always check the ethics rules and opinions in your jurisdiction. ← Partnership to Solo Practice to Partnership – This Time Doing it Right.